Family Legal are specialist divorce, family and private client solicitors established in 2011 to offer clients a better way of resolving their family law issues without the hefty pricetags of instructing a city centre firm. Where it is possible they always endeavour to help clients to resolve their issues away from court, by way of negotiation, mediation or roundtable meetings Their ethos is that as a family solicitor they are there not only to provide you with legal advice, but to provide you with support, and to help make things better, helping you and your former partner separate with dignity whilst looking after your most important asset - your children. Home visists are offered at no extra costs to cleints thoughout Cheshire. If you are further afield appointment can be undertaken via telephone, or Skype, so distance is not an issue. Roberts Jackson Solicitors are an award winning firm specialising in Industrial Disease including asbestos related matters, vibration white finger & occupational asthma cases. They offer high levels of personal client care and a No Win No Fee service. Languages Spoken include: Urdu, Punjabi, Bengali, Hindi, Russian, Kurdish, Turkish, Arabic, Pushto and Polish. Nicola Phillips Solicitors offers clients an excellent service. They will ensure your transaction goes smoothly whether you are selling, investing or moving home. They understand that buying and selling property can be one of life's most stressful tasks so they've made it their mission to make your transaction as quick and as painless as possible. They make every effort not to use confusing legal jargon and to explain the practical significance of specific laws pertaining to your transaction. They keep costs as low as possible, and stand out from the crowd as a modern law firm. HSS strive to innovate and constantly evolve to remain at the forefront of the legal industry's latest technical and technological advances. They pride themselves on customer engagement, allowing clients to select from a wide range of communication tools such as SMS, Social Media, WhatsApp, Snapchat and more. An independent law firm establish in 1979. They are committed to providing clear, practical advice. Matters dealt with include all types of property, conveyancing, wills, probate and employment. Free parking by the office. They are professional and knowledgeable whilst still friendly and approachable. A refreshing change from more traditional law firms. Covering a wide range of case types for both business clients and individuals, Brown Turner Ross have been providing legal services across England and Wales for over 130 years. The promise to listen, provide clear advice and tell you exactly how much their work will cost up front. If you want the experience and expertise of a quality firm, then call any one of their offices in Southport, Liverpool and Birkenhead. A modern, cutting edge law firm that aims to provide a level of service far exceeding it's size. 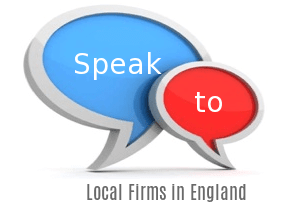 Based in Southport, Merseyside, they offer local and national specialist advice on a range of legal issues. Your case will be dealt with by a senior solicitor with a wealth of experience and knowledge to ensure you receive the correct advice and achieve the best possible outcome. They promise integrity and to care about every case they take on. They are predominantly a personal injury claimant law firm specialising in applications for the criminal injuries compensation authority, holiday sickness claims and medical negligence.